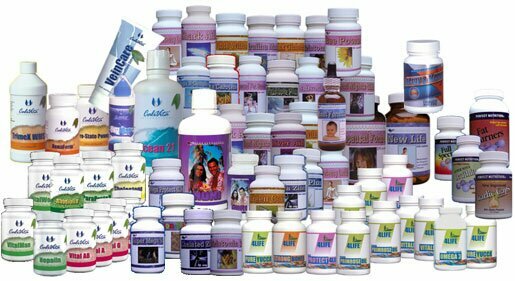 CaliVita is a dynamically growing, multinational company, dedicated to popularizing a healthy, quality lifestyle. The consumption of dietary supplements – together with eating wholesome foods and exercising regularly – is an integral part of such a lifestyle. CaliVita offers a whole range of high-quality vitamins, minerals and dietary supplements which help you keep your body in excellent physical condition. The company’s scientists and doctors continuously search for new formulas that combine the best nature and science have to offer. CaliVita International’s unique, innovative products are developed with the nutritional needs of different generations and of people with different lifestyles in mind. Well-trained doctors and managers are ready to assist you in embracing a new approach to staying healthy and energetic. At the same time, CaliVita International also offers a unique business opportunity for individuals driven to create a secure, financially independent life for themselves. The CaliVita International Network has empowered people like you to make their dreams come true. It is there for you to find your path to a healthy and fulfilling life. As the world heads into the 21st century, there are ever-increasing threats to our health and well being. Increasing contamination of the air, water and ground; genetically altered food; preservatives and artificial chemical substances in our food; increasing use of drugs, alcohol, and coffee; artificial sources of light; conscious and subconscious stress caused by a much faster and uncertain world. These factors not only rob the body of optimum health, but may cause illness as well. CaliVita® International manufactures and markets top quality food supplements that help to offset the damaging effects of the environment to health and wellness. Proper and regular use of these supplements is an indispensable part of the modern, healthy, vibrant lifestyle. Offering a wide range of supplements, all CaliVita® products are manufactured to exacting standards to ensure the highest quality. In developing it’s supplements, CaliVita® International constantly applies the very latest discoveries of modern nutritional science coupled with traditional but very effective medicinal preparations of different cultures that may be hundreds or even thousands of years old. This unification of science and tradition is what makes the CaliVita® product line truly unique. Active agents in CaliVita® supplements include vitamins, minerals, trace elements, antioxidants, amino acids and herbs, all of which help to maintain optimum health as well as strengthen the body’s immune system against disease. The products are manufactured in the United States, under the regulations of the U.S. Food and Drug Administration (FDA), entirely with 100% natural raw materials. They do not contain sugar, salt, preservatives, or artificial coloring or flavours. All CaliVita® products carry a 100% quality guarantee from CaliVita® International.